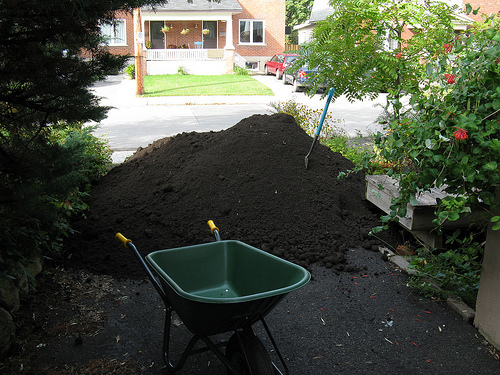 I remember as a young boy, watching my dad turn over the dirt in the flower beds. It looked so much nicer afterwards and seemed to me that if dirt had feelings, it would enjoy the process of being “refreshed.” Its consistency, color, and the ability to absorb water, are all enhanced. Even the flowers seemed to perk up with a supporting cast of renewed dirt. In Luke 13, we find the parable of “The Barren Fig Tree”, so called because it had not born fruit for three years. The vinedresser asks the owner for a one year reprieve for the tree – an opportunity to dig around it and add fertilizer. Other possible titles for this parable might be: “The Faithful Vinedresser”, or, “The Hope of Change.” We too easily accept the verdict of barrenness in our personal and married lives, and are cutting down trees that have not finished growing and bearing fruit. After the Creation, there was a season where vegetation had yet to spring up, for at least two reasons: God had yet to bring rain and there was no man to work the ground. (Genesis 2:5-9) God formed a man from the dust and assigned him the task of tilling the very ground from which he came. While Abraham was interceding for Sodom, he was aware of his origins: “Behold, I have undertaken to speak to the Lord, I who am but dust and ashes.” (Genesis 18:27) If there were ever a barren tree that deserved to be cut down, it was Sodom, but like the vinedresser in Luke’s parable, Abraham was humbly digging around the tree. His Spirit-led intercession made provision for the fruit of ten souls to be rescued. (Genesis 18:32) When all the dust settled, only three people survived. “Fruitful” is a banner over every marriage.The marriage dirt needs to be “turned over” often. Water, fertilizer, and other nutrients need to be applied on a regular basis. Husbands and wives need to work the ground, partnering with the Vinedresser and Intercessor who will never give up on us. After reading this blog I can’t help but think of how true it is. Just thinking back at not so long ago when the Lord in all his mercy turned over the dirt in my marriage and how painful it was, but the beauty that follows after if you just don’t give up makes it all worth it!! Lord continue to tend your garden!! !